Corotec’s corrosion inhibitors ... used to prevent corrosion at the bottom of oil tanks. Cortec, a leader in VpCI and MCI corrosion control technologies, has developed a unique liquid concentrate formulation that addresses three key problems in closed loop systems and many other water to metal applications. According to a company spokesman, corrosion is a common threat to closed loop cooling systems, requiring the addition of a corrosion inhibitor to preserve metal internals. Then there is scale build-up that can reduce system efficiency. Yet another problem is odour produced by bacteria that naturally grow inside the closed loop. Cortec’s VpCI-649 BD combines contact and vapour-phase corrosion inhibitors to protect metal surfaces in direct contact with the treated fluid as well as those areas above the level of the fluid where the contact inhibitor cannot reach. As the inhibitor flows along in the liquid stream, it releases a corrosion-inhibiting vapour that adsorbs and forms a protective layer on exposed metal surfaces above the level of the fluid. “Unlike a number of traditional closed loop inhibitors, VpCI-649 BD does not rely on nitrite, phosphate, chromate, or heavy metals to inhibit corrosion. It also contains an acrylic polymer to prevent scale formation and an organic odour-control agent to minimise odour from the growth of bacteria inside the closed loop,” says the spokesman. VpCI-649 BD protects metal surfaces in direct contact with the treated fluid as well as those areas above the level of the fluid. VpCI-649 BD is designed to provide long-term protection for ferrous and non-ferrous metals (steel, copper, galvanised steel, and aluminium) in fresh water, steam, and glycol closed-loop systems. However, it is not limited to these uses and is effective at stopping aggressive corrosion in a broad range of applications, including closed loop cooling systems, cooling system lay-up, hydrostatic testing of pressurised vessels and pipelines, packer fluid additive, fire extinguishing systems, and oil storage tanks. For operational closed loop cooling systems, VpCI-649 BD can be easily applied starting at doses of 2,500 to 3,000 ppm (0.25-0.3 per cent). The liquid is readily water-soluble and is effective at low concentrations, providing economical treatment. 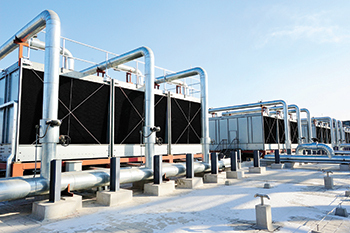 When a cooling system is laid up, often for a temporary seasonal change, an important goal is to keep the equipment in good condition, corrosion-free, until the next season. Otherwise, corrosion products can lead to clogging of the system and lost efficiency. When wet lay-up is desired to allow for a quick restart of the system, VpCI-649 BD can be added at a concentration of 0.5 per cent by volume to provide up to six months of protection, the spokesman says. Hydrostatic testing is another instance when the flushing of liquid through pipelines or into pressurised vessels leaves behind dampened surfaces at risk for corrosion. Adding VpCI-649 BD to the hydrostatic testing water will provide protection both during testing and also for a considerable time afterwards. Again, a small concentration of 0.5 to 2 per cent by weight is typically effective. 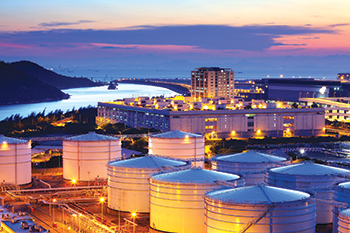 Oil storage tanks commonly experience corrosion at the bottom when moisture condenses at the top of the tank and then settles to the bottom of the tank, fostering corrosion that may result in tank leakage. VpCI-649 BD can be added to the tank at a low dose to prevent this widespread problem. Headquartered in St Paul, Minnesota, the US, Cortec manufactures over 400 products distributed worldwide for use in the packaging, metalworking, construction, electronics, water treatment, oil and gas, and other industries.